I’m not a baggage handler but if I was I’m sure there’d be times when I’d wonder what all the baggage was about.Where it’s going ,who is it for ? How necessary is it? although in most countries its easy to buy shampoo and toothpaste. Security is an important comfort of life.Look how well brands pander to people’s insecurity .They say ‘You know me.You can trust me .And you don’t need to take risk to discover the new and the local.You don’t need to support the strange or the stranger .I’m the only one of quality ” Quite a boring way to follow with loyal blindness into the uniformity of globalisation. The security of baggage and brands can be a trap of restricted experience and a lie that strange is inferior . But not all baggage is predictable. 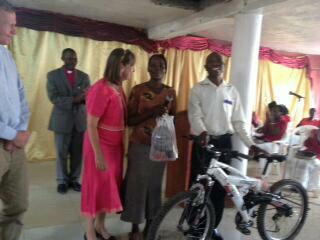 And those pioneering the work I have joined in with had great plans of delivering gifts from a variety of sources. 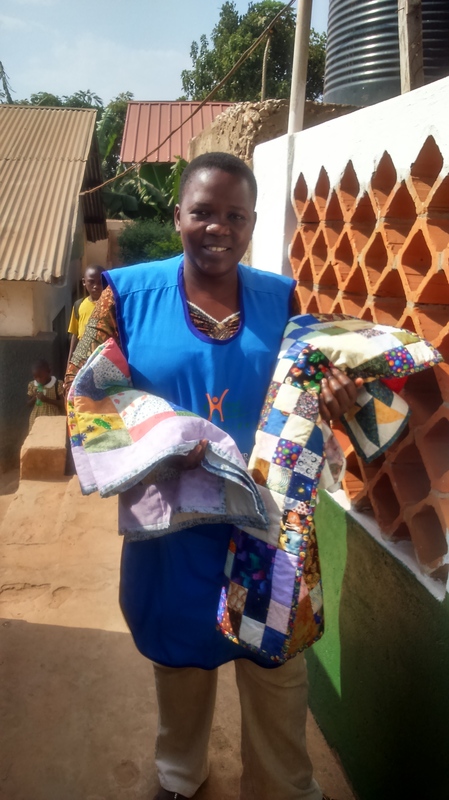 If you have read the earlier blog you will remember the bicycle luggage ,but I’ve not yet mentioned the dolls or the clothes or the beautiful quilts.Not my gifts, but the generosity of people who know who their neighbour is and responded . And so I share with you a little of the distribution of baggage. It emerged as generous gifts from the kindness of strangers ,reaching the surprised on floodwater of joy. 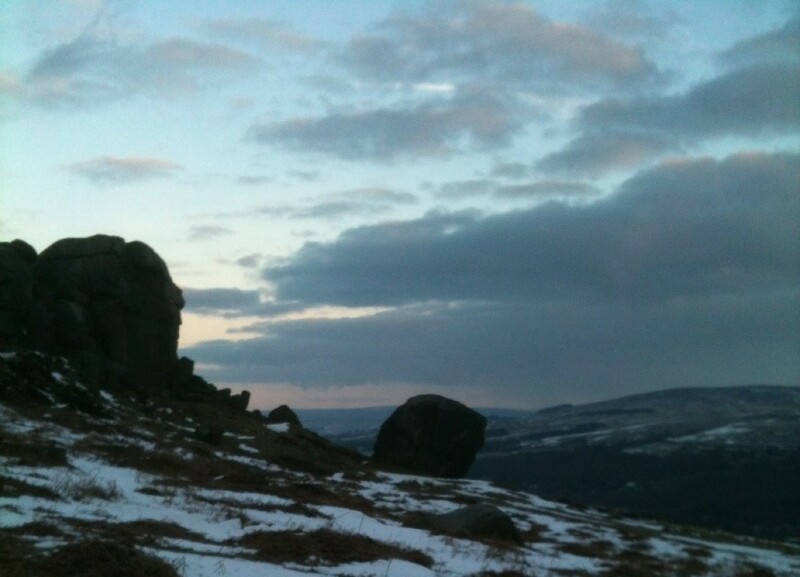 We’ve taken some time to deliver assessing need and suitability not wanting to be provoking envy. A very big thank you from this family whose life will be transformed by simple transport of a bicycle .Thank you to a colleague .A shock presentation of great happiness .Thank you for letting me experience this. 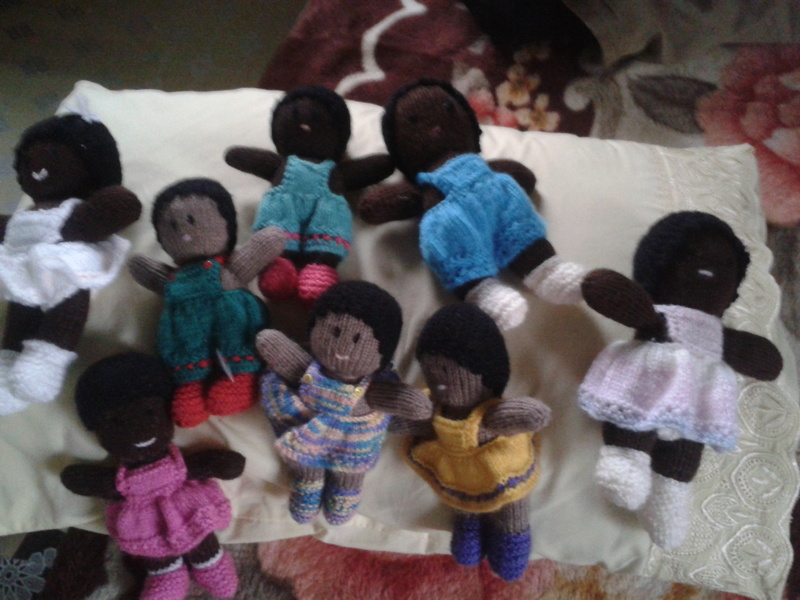 And eight little people being blessed by eight magnificent hand knitted dolls ..a few more to distribute amongst children who have recovered from malaria or other sickness. Massive smiles on tiny faces and mothers touched deeply by generosity Thank you. What beautiful quilts! The skill in design and execution is tremendous and these have been for little people bringing comfort in poverty .Thank you.Thank you. The generosity of others has had profound effects .It is a humbling privilege to be a luggage lady,fellow staff have seen professional care and dedication in the givers they may never meet .The transitory handover gave all round intense pleasure running into lasting practicality and deep experiences of long term gratitude. Cycling,sowing ,knitting or whatever your baggage, may it rise out of the dull ,ripple past your security to create extraordinary generosity. This entry was posted in Uncategorized and tagged baggage, bicycle, cycling, dolls, generosity, gifts, knitting, luggage, patchwork, quilts, toys, Uganda by A Poet in Learning. Bookmark the permalink.